Samba De Frutas Slots Game by IGT: Take a FREE Pokies Spin Here. Fruit-themed online pokies are very rare as a theme. Mostly themes involve Dragons, Wolves or other animals. That’s more to the reason why Samba De Frutas is a unique game that many would want to try for a change of sorts. Developed by IGT, the game is based on Brazilian heritage and culture. Brazil is well know as a country of color, the game is constituent of colorful fruits like; cherries, pineapples, bananas, apples and oranges, animals like the toucans and parrots and other conspicuous elements that are very attracting to the eye. It’s samba themed music is also a unique factor that entices the players, giving them a feel of the real Brazilian culture and heritage. The game is planted with five reel slots and eight rows with up to 100 pay-line. It has giant reels encased with a retro design making it conspicuous and exciting . It has four high value symbols, they include; a pair of parrots, a samba dancing queen, a samba dancing king and a pair of puffins. The elements; 9,10,J,Q and A are the lower standard values. It has fully stacked reels that are brilliant and appear on all reels, normally its a lady wearing a lofty hat made from fruits and tropical birds, stretching upwards to fill. This acts as a subtitle for all the others except the bonus which is represented by a maracas. Essentially the game is loaded with line and line bet combinations that is advantageous to the player. With all these colors and Brazilian glamour, one can win one hundred fifty coins by finding matching card symbols. You can also win up to two hundred and fifty coins by spotting exotic birds like the toucans and parrots. If you happen to spot the samba dancing king or queen, you get to win up to five hundred coins. Fruits like cherry, apples, pineapples,oranges and bananas should be checked with diligence since they are ‘wild stalked symbols’ that can be stacked up to the eighth window. Wild symbols can also give you second bonus. This is dependent to the that they are able to award instant wins up to one thousand coins when multiple symbols create a winning line by themselves. The maracas, essentially known for its bonus giving power, appears on reel two, three and four. 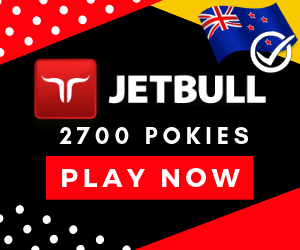 The spot of these three maracas on the three reels doubles your bet and gives you five extra spins up to a maximum of two hundred and fifty five free spins. However, there are no extra multipliers for any win during the free spins but there is other wild winning opportunities that one can immerse while playing . With the samba stakes you are able to play with either 1,8,25,50,75, or 100 lines, with stakes ranging from one to thirty. This allows you to obtain a minimum bet of one coin and a maximum bet of three thousand coins a spin. The game is indeed a special one. With its giant colorful reels, interesting design, amazing bonuses and great wins, you are sure of having the right energy while playing it. Perhaps its giant reels are one of the main reason why free spins are easy to trigger.